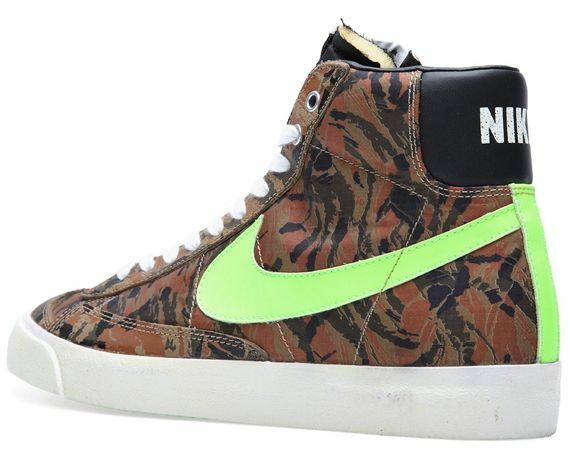 The “PRM VNTG” look has recently been seen on the latest from the Vandal Supreme line, but this time, we see this impressive camo look grace the classic Nike Blazer Mid ’77, and boy did they snap with this design. 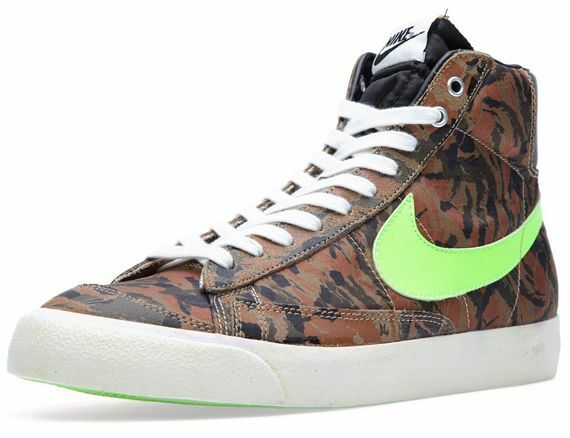 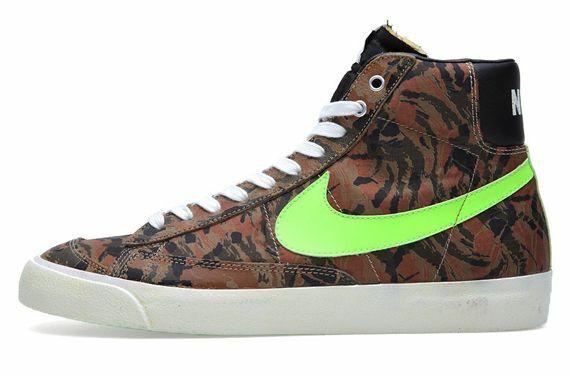 The camo, which is more commonly referred to as a “tiger” camo features bold swaths of color that play nicely off of the black accents of this Blazer, which is offset brightly by the Nike swoosh, which is seen here in a neon green swath of leather. 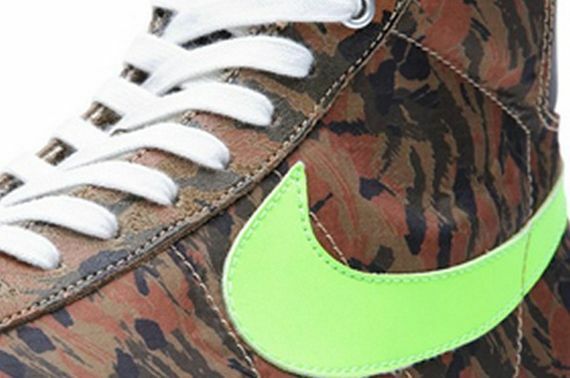 No news as to when these bad boys will be hitting shelves, but we will keep you updated via our Facebook, Twitter and Instagram. More photos after the jump.